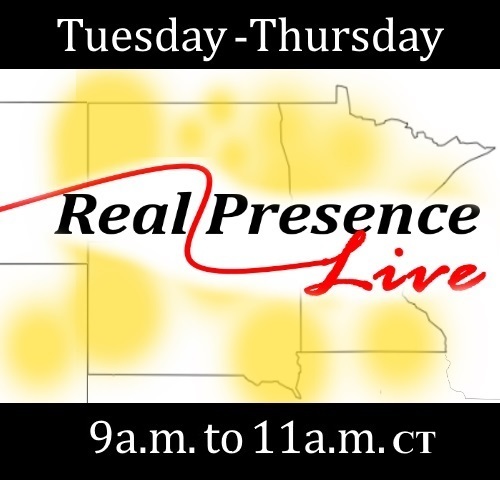 In the first hour, hosts Brad Gray and Jeanine Bitzan visited with Deacon John Foucault about his experience as a business owner with addressing performance management. After that, they joined Deacon Mark Krejci, Director of the Office of Marriage, Family and Life at the Diocese of Crookston, to talk about the importance of praying as a family and how it played a role in his own family. In the second hour, host Tim Mosser spoke with Dr. Louise Murphy about her conversion of heart as a Catholic and a doctor and previewed the upcoming Diocesan White Mass in Bismarck. Our host then spoke with Tony Brandt and Chris Stewart of Casting Nets Ministries about the steps of evangelization and the Diocese of Rapid City's upcoming Stewardship Summit. Finally, Tim spoke with Paulette Moreland about why she is a witness and voice for the unborn. The two also spoke about the 40 Days for Life Duluth prayer effort. In the first hour, host Tim Mosser began by speaking with Fr. Gerald McManus, a retired military chaplain, about his experience at Ellsworth Air Force Base in South Dakota. Tim then spoke with Steve Laqua, Minnesota State University Moorhead head football coach, about being a witness of faith at a public university. Finally, our host visited with Jacques Daniel from Rapid City about the Federation of North American Explorers, a Catholic scouting movement. In the second hour, hosts Andy Shaw and Fr. Michel Mulloy began by visiting with EWTN Morning Glory host Gloria Purvis about why she finds life to be so beautiful and the upcoming Respect Life event in the Diocese of Superior. They then spoke with Steve Kraushaar about a very special Fall Bazaar hosted by St. Anthony of Padua Church in Fargo. Next, Fr. Mulloy previewed the upcoming Sunday Gospel reading from Matthew where Jesus teaches his disciples about compassion and forgiveness. And finally, our hosts spoke with Dr. Mary Dockter and Dr. Jodi Roller from the University of Mary in Bismarck about their recent pilgrimage and what they learned about the dignity of the human person and how this applies to their roles as healthcare providers. In the first hour, hosts Andy Shaw and Fr. Michel Mulloy spoke with DJ Bakken, a Forester for Beltrami County in Minnesota, about the work he does to help preserve the forests and how we can be good stewards in our own little way. Next, they visited with Teresa Spiess of the Diocese of Rapid City about a new survey available for people in the diocese to share their experience of the Mass. Finally, our hosts spoke with Deacon Les Noehre about his personal journey with the Catholic faith and how he hopes to help others find their home in the Church through a program called RCIA.